Does the broker have experience in the brokerage business? Are they a sales person or broker? What are their professional credentials? Are they licensed? Does their firm handle trawlers similar to yours? How is their product knowledge? Has he or she sold similar brand/model trawlers? Does your listing agent have any time at sea or underway on trawlers similar to yours so that they can relate the experience to a potential buyer? 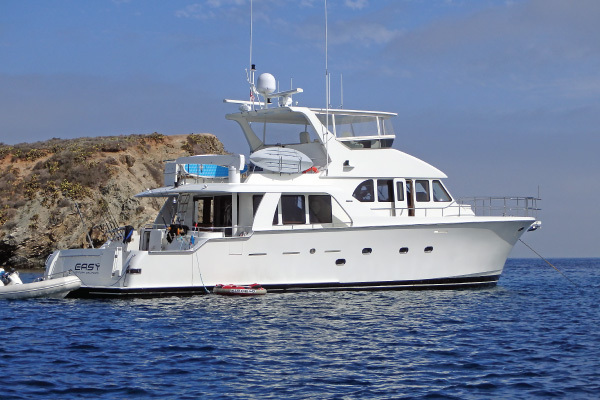 Is the broker willing to travel to your boat to meet with you in person to write up a detailed specification sheet and photograph your trawler? Can your broker explain the advantages in your choice of Open vs. Central listings? How long does the broker want to have the length of listing be and how long do they think it will take to find a buyer? Is the brokerage commission negotiable? Will your broker co-op with other brokers? Can you exclude buyers in your listing agreement whom you reserve the right to sell to directly? Can they provide you with referrals from satisfied clients? How does their personality and enthusiasm seem? Market knowledge – what other boats are similar to mine, who is the competition? It’s not unfair to ask for a marketing plan, will they create one for you that explains what they will do to help you market your boat? Is the brokerage website appealing? Does the brokerage attend boat shows? What magazine ads will your trawler be featured in? Does the listing agent ask for an upfront disclosure detailing potential issues your trawler may have? Does the firm hold open houses? Is there a conflict of interest where the brokerage also sells new trawlers similar to yours? (And what assurances will they give to insure that your listing won’t be used to bring in new boat buyers?). During the process of selecting your listing broker pay close attention to the listing agents’ communications skills. Do they get back to you promptly? Do they have time for your business? (If they aren’t getting you excited, how are they going to treat a prospective buyer?). Most listing agreements specify a start and a stop date and have a provision to terminate the agreement. Understand what you are signing up for and then do everything you can to help the broker you select be successful.